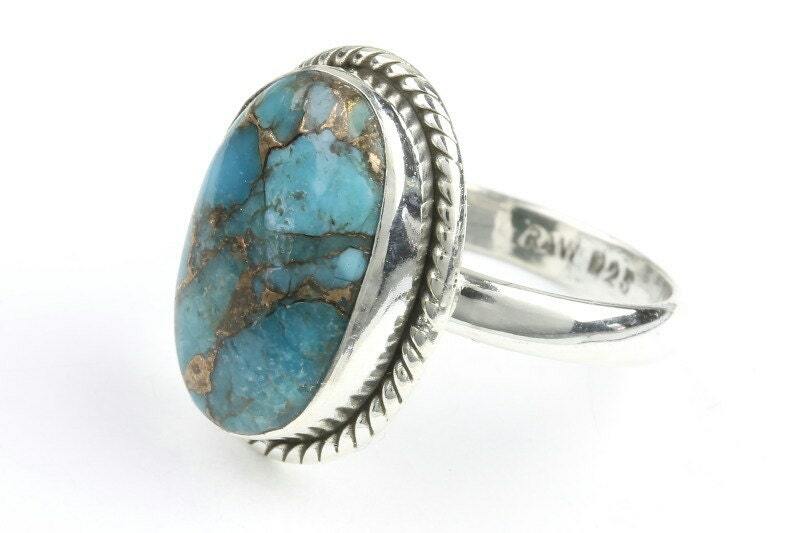 Sterling silver ring with beautiful copper turquoise center stone. Thank you so much! The ring is beautiful, shipping was fast, and communication was great! Will def be buying more from this shop! absolutely beautiful! 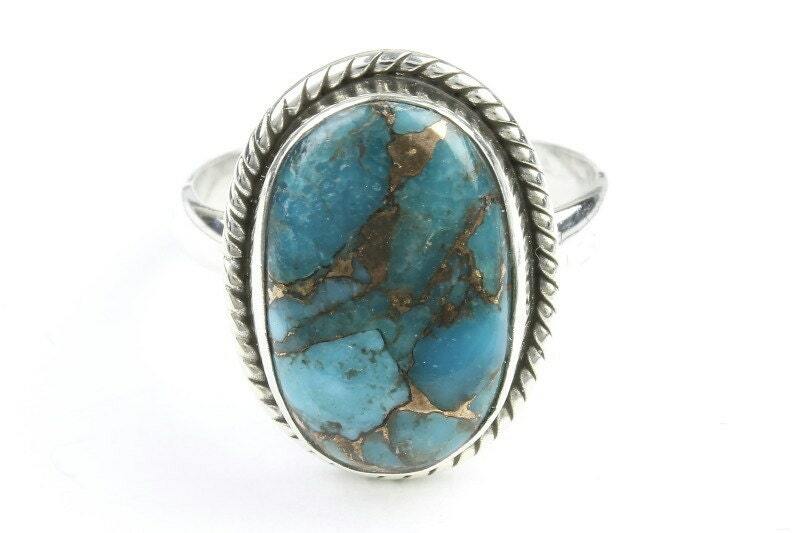 has the beautiful copper running through the turquoise as advertised; was just as bright and beautiful as pictured! The ring is beautiful. There was a small issue and they fixed it as soon as I I brought it to their attention. Will definitely order again ! !